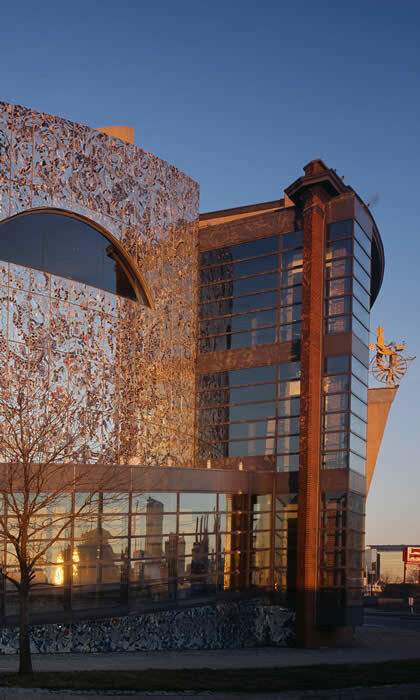 For Baltimore’s American Visionary Art Museum, replacing the HVAC chiller to the 15-year-old exhibition building was a critical fix. Besides cooling its more than 100,000 annual visitors, the museum is responsible for the preservation of a vast collection of visionary art. Katie Adams, the museum’s Director of Development, identifies the museum as a “storehouse for intuitive, self-taught artists” and notes that AVAM is the “only museum of its kind in the country.” She says, “It is imperative we maintain care of the collection.” Temperature and humidity are concerns for the curators of this unique collection. 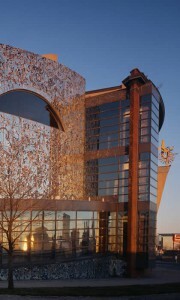 AVAM received a $40,000 grant through the EmPOWER Clean Energy Communities Grant program. In addition to replacing the chiller, the funds are being used to seal the roofing connection to further preserve interior climate conditions. These energy efficiency improvements, which are also partially funded by a zero-interest Jane E. Lawton Conservation Loan from the Maryland Energy Administration (MEA), contributed to energy savings estimated at 78,000 kWh every year, which would translate to an annual savings of more than $9,000*. *$9,165 is based on a commercial rate of 11.75 cents per kWh perhttp://www.eia.doe.gov.